I have to say its not often that i rave about a nail polish.....but after trying this little bargain beauty i felt i needed to give it an honorary mention in my blog!! 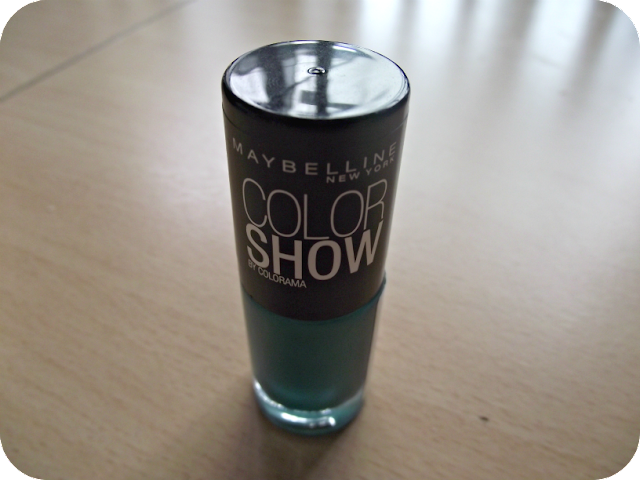 Maybelline Colour Show is a recently launched colllection comprising 40 hot and fabulous shades with the best thing being the price.....you can bag one of these beauties for less that £3...(Asda have even got them on offer at the moment for just £2). Now normally you do tend to find the the cheaper nail polishes are pretty dire....chip easily, wishy washy colour, have to layer them about 5 times etc....however this is not the case with Colour Show. Immediately what attracted me to buy one was the colours....bold, fun, bright but also i just liked the sleek look of the bottle, simple branding and eye catching colours...and just £2....well if its crap i haven't really lost out to be honest. Now the main reason why im really impressed with this polish is because it withstood a very long weekend partying in Ibiza......without so much as a chip (in sandals as well!!! ).....that's damn impressive!! The colour (especially the dark shades) is fantastic...i literally only needed one coat..and bam intense colour which is just what you want. The colour went on easily and dried super quick. The colour above is tenacious teal which is a gorgeous shade of green. I have to say i am pretty damn impressed with these polishes...such a bargain and such a good little polish. Nice intense colour, stays chip free for ages and its Ibiza proof to boot....big gold star to Maybelline. If you havent tried this line yet then pop over to Asda now and grab them whilst they are just £2! Yeah i have to say as far as budget polishes go these are pretty fab!! The Ibiza weekend clinched it for me!! I was in Superdrug yesterday and the range of colours is great, there are so many! £2 in Asda?! 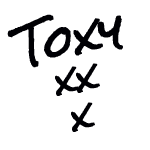 I am sure they were more in Superdrug :O Bargain! Yeah i think its just a short term deal....popped over there last night and they were all £2....definitely get a load more at that price!! Have to say the photo doesn't quite do it justice...such a nice shade! !